7:00 p.m. City Council/Municipal Authority Meeting. 10:00 a.m. - 2:00 p.m. Blood Drive. 6:00 p.m. - 7:15 p.m. Open Wrestling Practice. 6:00 p.m. Museum Trust Authority meeting. 6:00 p.m. Third Annual Monster Ball softball game. 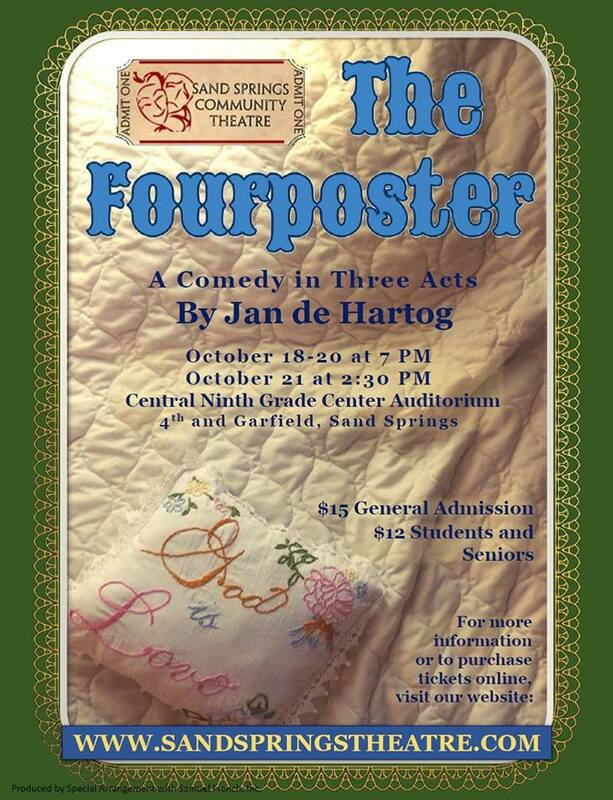 6:30 p.m. - 8:30 p.m. Westfest. 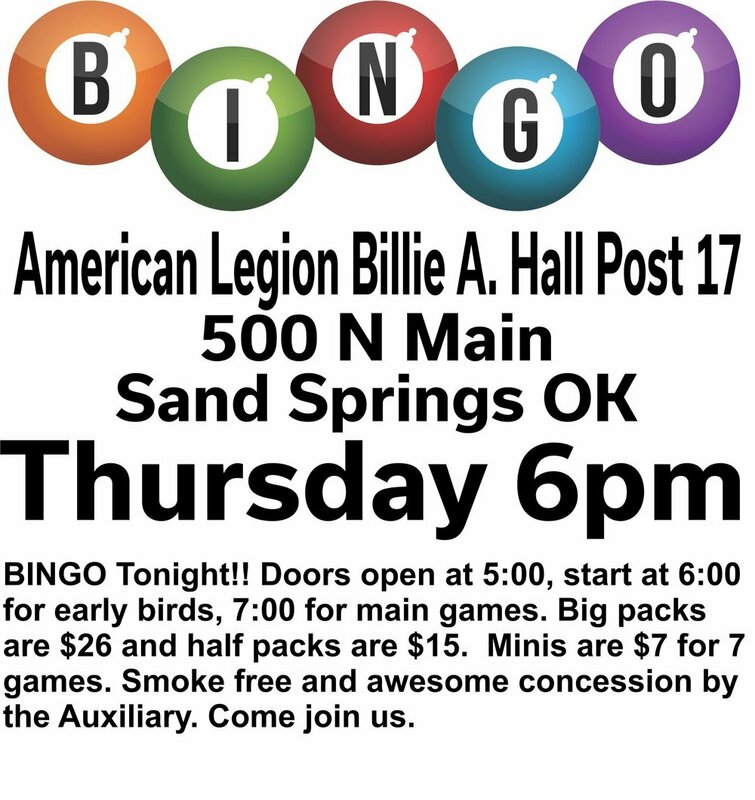 5:30 p.m. Sandite Football Tailgate Party. 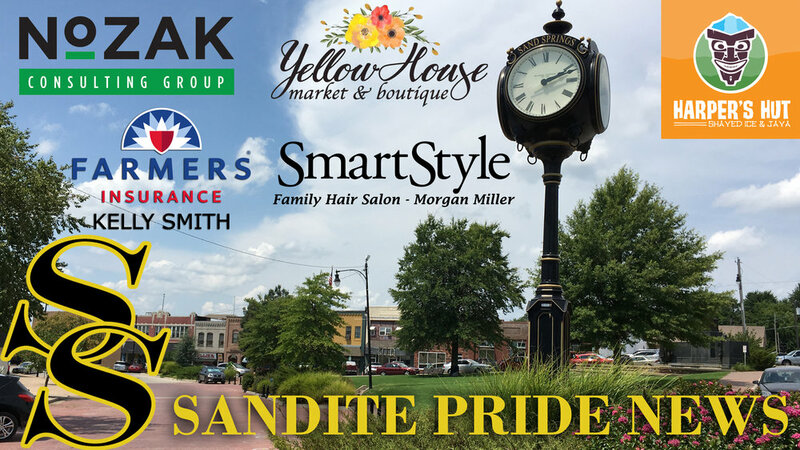 7:00 p.m. Sandite Football vs. Sapulpa. Click here for game preview - presented by YellowHouse Market & Boutique. 8:00 a.m. Open Hike Day. 12:45 p.m. OSSAA 6A State Championship Cross Country Meet. 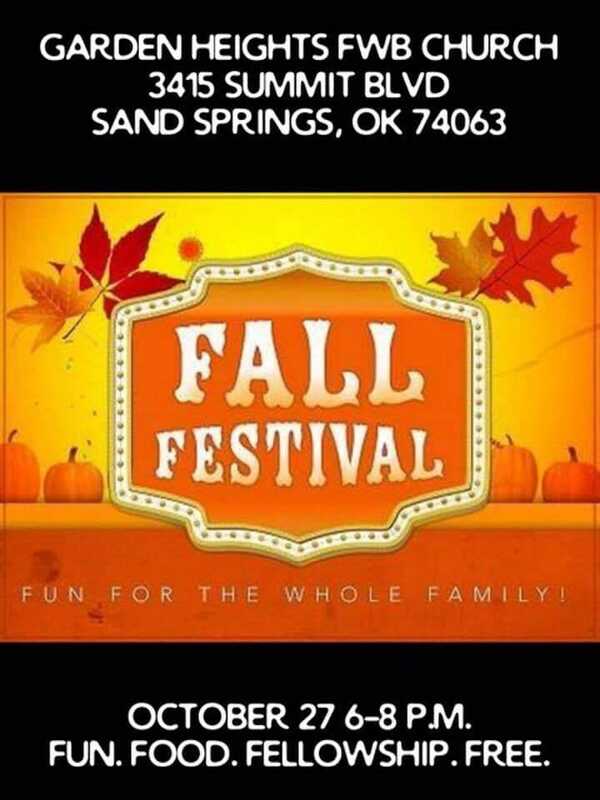 6:00 p.m. - 8:00 p.m. Fall Festival. 2:00 p.m. - 5:00 p.m. Boo on Broadway. 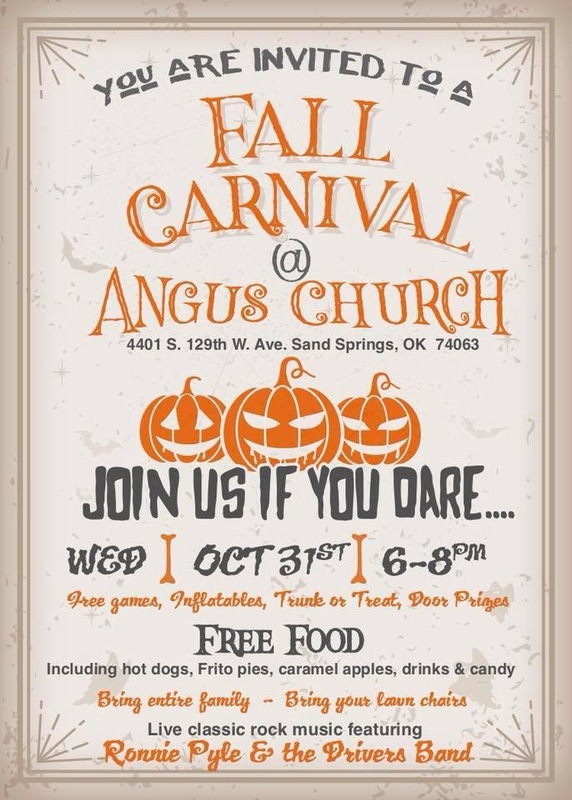 10/31 Angus Church Fall Carnival. 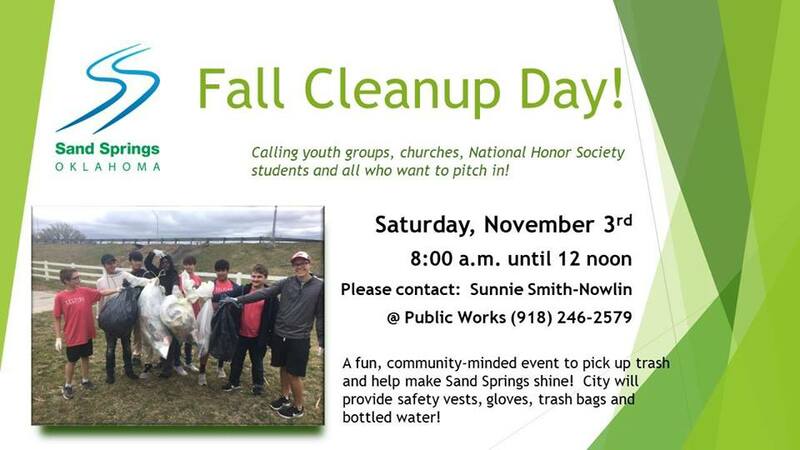 11/3 City of Sand Springs Fall Cleanup Day. 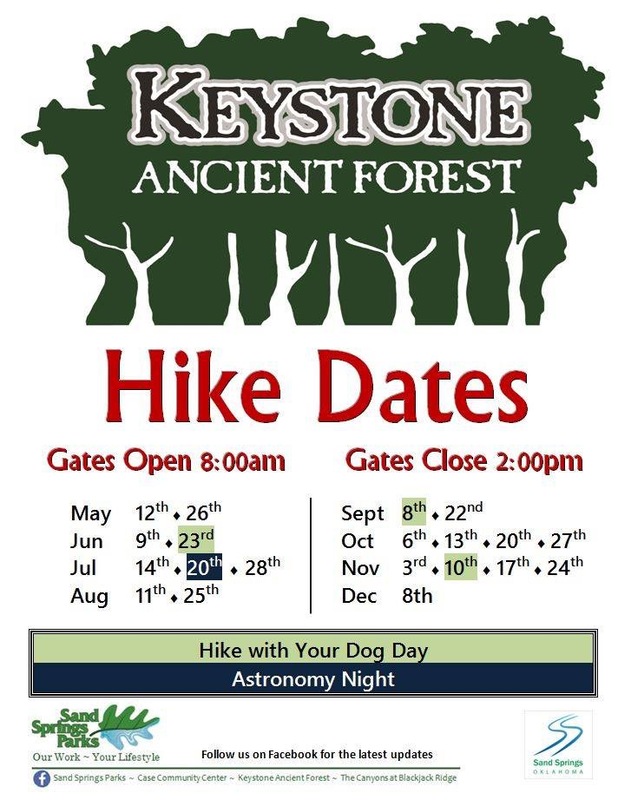 11/10 Keystone Ancient Forest Hike With Your Dog Day. 11/10 All Things Crafty Arts & Craft Fair. 11/10 Ninth Annual 2 Angels Toy Run. 11/17 Christmas Open House Sip & Shop at YellowHouse Market & Boutique. 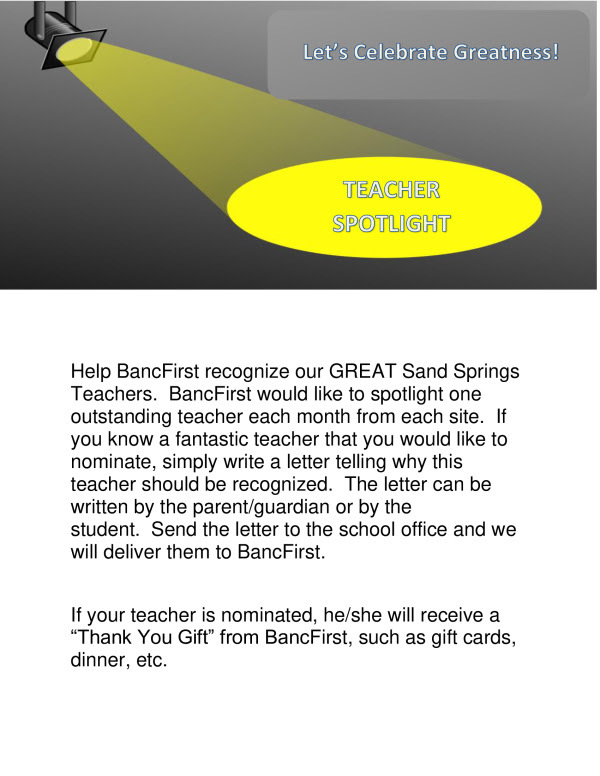 11/24 Sand Springs Sings concert finale & 2nd Annual Christmas Tree Lighting Ceremony. 11/30 Festival of Lights Christmas Parade. 11/30-12/1 HomeTown Holiday, a Christmas Celebration. 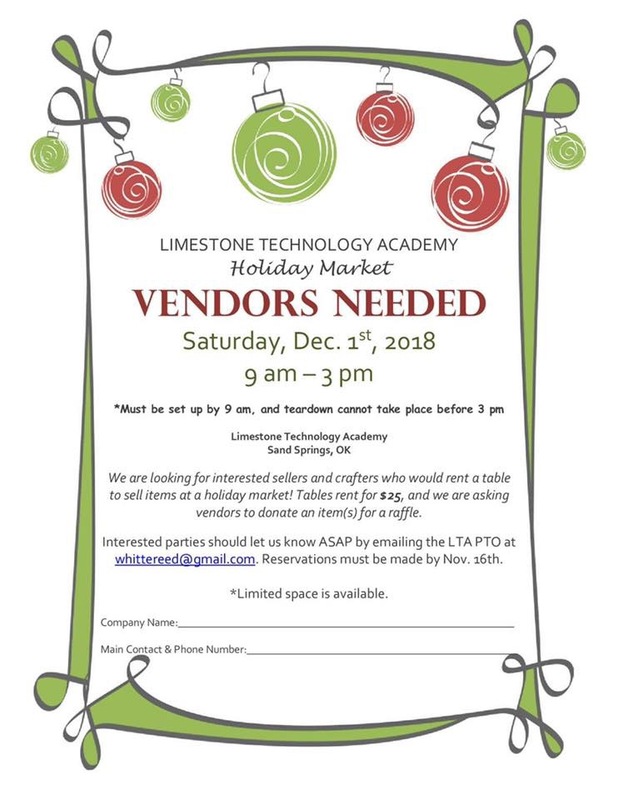 12/1 Limestone Technology Academy Holiday Market.